Karen Connolly shares a brew with Dave Haslam in his favourite ‘secret’ cafe, Fig + Sparrow on Manchester’s Oldham Street. Two of the monikers slapped on Dave Haslam in his early DJing days in Manchester. He reckons he’s been called much worse in the subsequent years following his debut at the decks but I think he suits Chatty-Personable and All Round Nice-Guy Dave. Or just Dave for short. He may not thank me for that but, in truth, he is splendid company over a cup of tea and a drop scone. 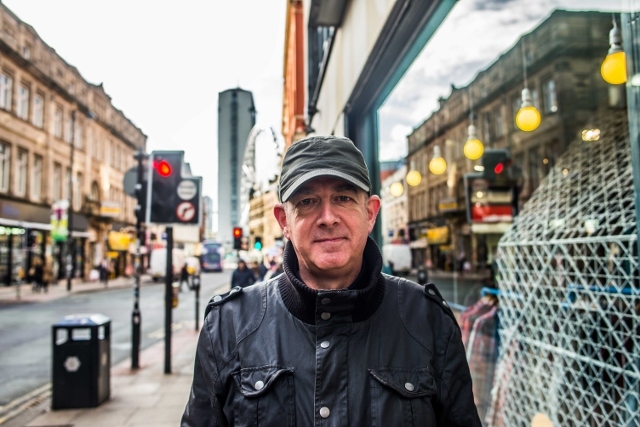 Dave Haslam has been part of the Manchester music scene for almost 30 years so it’s likely you don’t require a ‘heard it all before’ bio about the bloke. But for those of you who have just landed here’s a condensed (kind of) version. Leaving his home town of Moseley in the West Midlands back in 1980 to study English at the University of Manchester he worked as a gig promoter for the likes of The Stone Roses, Primal Scream and Sonic Youth. Haslam started DJing in 1985 and had his first regular gig at a night called The Wilde Club at Man Alive on Grosvenor Street where he was billed as ‘Miserable Dave’. Later, he earned ‘Groovy Dave’ when he was a DJ at The Wheel (later known as The Venue) on Whitworth Street. The fact these depictions were printed on flyers and distributed in their thousands across the city doesn’t seem to have left too much mental scarring. In between ‘Daves’, Haslam was also founder, writer and editor of a fanzine called Debris, the very same one he reckoned an interview with Smiths‘ balladeer Morrissey should include. Both Haslam and Morrissey were just knee high to grasshoppers back in those early, uncomplicated days and if you wanted to interview someone you simply headed to where they hung out and knocked on the door. So when Haslam rocked up at Crazy Face Wholesale Clothing in town (owned by Joe Moss who let the band rehearse there) and requested an interview with Mosser, his wish was granted. A lackadaisical approach certainly, but it did the trick and resulted in Up The Garden Path with Morrissey, so called because it was conducted in Haslam’s flat. And all this before he became the DJ superstar and Haçienda legend loved by many. But how did he actually get to that Shangri -La of whirly, swirly tunes and bagginess? “I was at the Hacienda from about 1986,” he says. 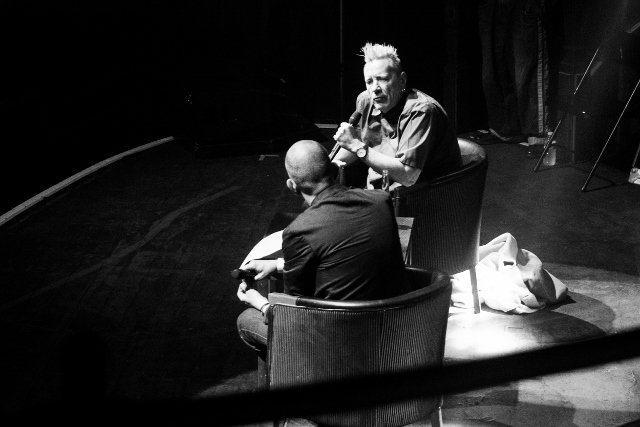 “And in the summer of 1990 I did a Hacienda DJ tour of America with Paul Oakenfold, Mike Pickering and Graeme Park. Haslam was also DJing a couple of nights a week at the much lamented Boardwalk on Little Peter Street and although he’s keen to stress he shied away from becoming a ‘celebrity’ DJ, the scene itself was becoming huge and, with it, so were the DJs playing the records. But for Haslam it was always about playing the stuff he loved. He confirms that music is and always will be his first love. 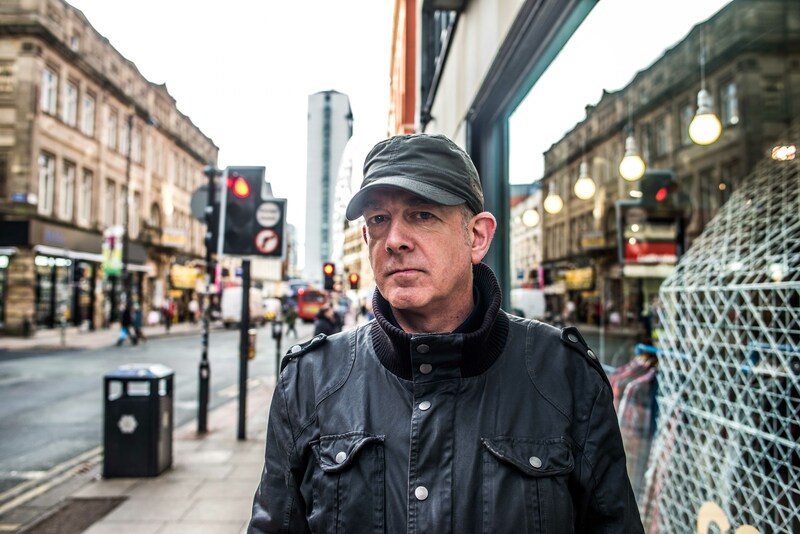 “I was a fan of The Fall, Buzzcocks and Joy Division and that was probably part of the reason I ended up choosing Manchester Uni.” But Haslam has widened his repertoire considerably over the years. Haslam is the author of a handful of books and is on the cusp of a new release, but he puts me in a headlock and makes me repeat ‘I will not mention it’ three times so, sorry, what can I say? The guy’s got a mean grip. He’s also the curator of the Close Up sessions, a series of onstage, no-holds-barred conversations with musicians, actors, writers and artists discussing their lives and work. 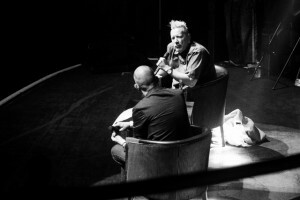 Past interviewees have included Will Self, Jonathan Franzen, Black Francis, Jarvis Cocker, Terry Hall, Kevin Rowland and John Lydon (aka Johnny Rotten), the latter who, says Haslam, was perhaps one of the most candid of the lot. Earlier this month he interviewed Kim Gordon in front of a sell-out audience at The Martin Harris Centre on Bridgeford Street and says he’s still got a few names on his ‘to do’ list…namely Debbie Harry. And with a summer of festivals to DJ, including Kendal Calling, Haslam’s social calendar is pretty full on. Yep, Groovy Dave continues to fill the floor. *Haslam was born in Moseley. *He’s a die-hard West Bromwich Albion fan. *His best song ever is I Wanna Be Your Dog by The Stooges. *Favourite Morrissey song is Suedehead. *His middle name is John. *At home he listens to obscure house music, 1950s jazz or, if he’s feeling depressed, Massive Attack.